Google is just that and then some. It is evil and dangerous. When one company controls the world’s flow of information the way they do and can tilt the argument overtly or, more ominously, covertly in their preferred direction, watch out. 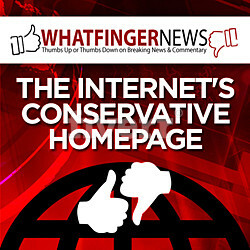 We are headed for a new form of totalitarianism. We will soon be living in a homogenized global village out of a Huxley novel and social media will have led the way, been our soma (the drug from Huxley’s Brave New World). It is clearly already happening. We are in the midst of a Cultural Revolution without the dunce caps. And Google, the übermensch of social media, is the managing director of the operation. It is the engine that makes the whole sinister business work—Twitter, Facebook, and its own YouTube. 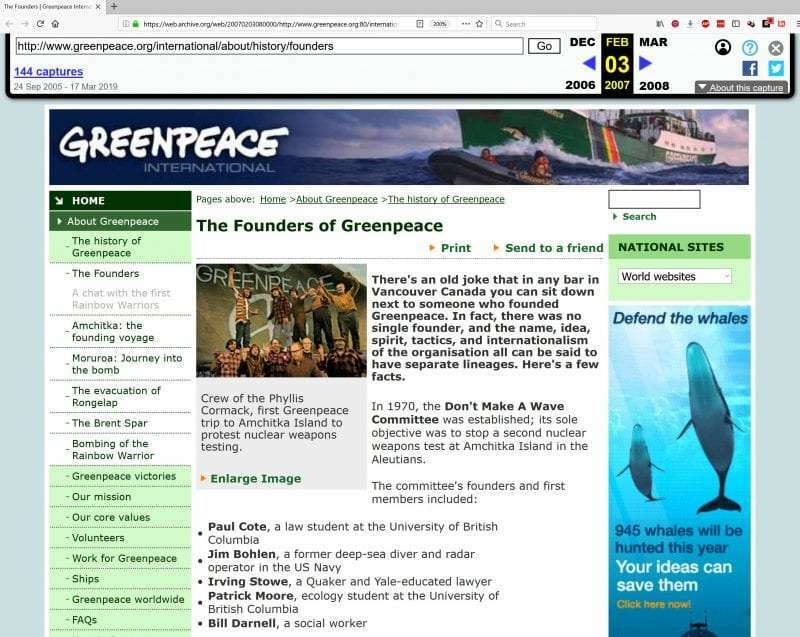 As Moore himself tweets, the Wayback Machine still lists him on a 2007 page labeled “The Founders of Greenpeace,”before Greenpeace’s own airbrush team went to work.